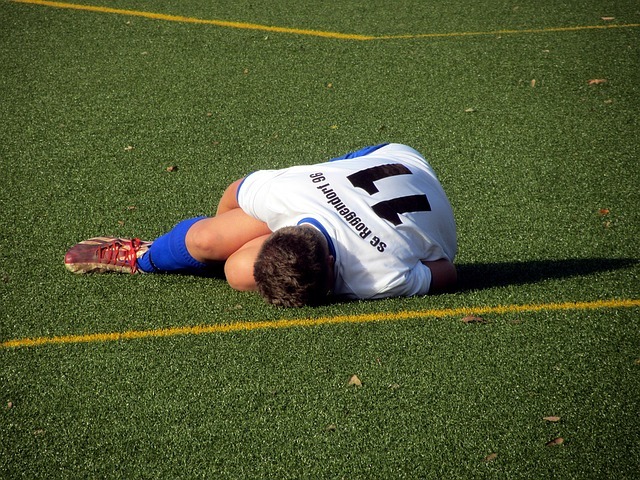 Research review: ACL injury rates are sky-rocketing in the young population – why? According to a study published in the Medical Journal of Australia in the last few days, the number of young Australians injuring their anterior cruciate ligament (ACL) and requiring knee reconstruction surgery has risen more than 70 per cent in the last 15 years. More interestingly, and perhaps more concerning, the biggest increase of all population groups included in the study was that of children under 14, with females more susceptible than males. Overall, Australia has the highest reported rates of ACL injury requiring surgical intervention with an associated cost of $142 million per year! We’ll get to that, but firstly some anatomy! The ACL is located deep inside the knee joint, underneath the kneecap and connects the femur (thigh) bone to the tibia (shin bone). Its main role is in preventing forward movement of the tibia on the femur, or more simply – holding the upper and lower legs together. It also play a role in preventing medial (towards the midline) rotation of the lower leg on the upper leg. 1) Children are bigger, stronger and taller than past generations. More mass means more momentum once we get moving, even more so with those sudden shifts in movement seen when playing sports such as netball, basketball or football. More momentum means it’s harder to stop or alter movement once we’re moving, placing more force on the ACL and knee joint in an attempt to do so. 2) Young people have a reduced amount of “free play” compared to past generations and the young demographic of other countries. As is well known, children nowadays tend to live much more sedentary lifestyles than children of the past. Mostly, children prefer to spend their free time in front of computers or Playstations rather than exposing their knees to the joint awareness, strength and balance training they might get from more active hobbies outdoors. Add to these thoughts that athletes are getting serious with sport at younger ages, enduring longer sporting seasons with more frequent and more intense training sessions and competing at higher levels of competition where the bodily demands are higher and ACL injury becomes all the more likely. Mathematically, the more you expose your knee to high intensity, vigorous exercise involving change of speeds and directions, the higher likelihood you may suffer an ACL injury. Further research on this topic out of La Trobe University in Melbourne has also highlighted the pattern of repeat injuries in young people who undergo ACL surgery. In the 128 young people they studied who had undergone surgical intervention on two occasions, approximately 30 per cent went on to have a third ACL injury. Quite damning statistics all round right? With an injury that takes a huge amount of time and effort to get back to pre-injury capacity, what’s the positive? Prevention is paramount and prevention is evidence-based AND proven to work! Statistics show that injury prevention and neuromuscular training 3 times per week is effective in all sports – preventing 50-80% of all ACL injuries. This typically incorporates a mixture of plyometric (hop/jump work) and strength work. Such programs, like the FIFA 11+ or PEP, have been developed and proven as effective in diminishing the risk of ACL, knee, ankle and hip injuries. It’s about giving your body the training to cope with forces you might be exposed to in a controlled environment, whilst giving your muscles the strength to help reduce the load through your knee and assist in stability. On the back of these staggering statistics, Professor Vertullo is advocating for a national prevention program to be implemented that will teach volunteer coaches to introduce effective warm-up techniques to reduce injury risk. All aboard I say! If you’ve got a family member who’s ruptured their ACL in the past or have an adolescent child involved in regular sporting activities then book online or call the clinic. Or, feel free to shoot us an enquiry about how we can help! The proper implementation of a prevention program might save you or them money or 12 months on the sidelines.